JAINA EC, JAINA Convention Board and Jain Center of Southern California are excited to invite you to a 4-day JAINA Convention from July 4 - 7, 2019 in Los Angeles. Registration opens in August. It's a wonderful opportunity to explore 'Jain Religion in 21st Century' in Southern California. More details are below. Hope you all had wonderful Mother's’ Day celebration. Many religions believe in the Theory of Karma and yet the understanding and interpretation of the theory differs. 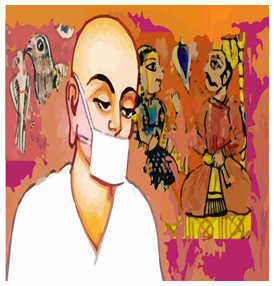 Read about Jain Theory of Karma below and know how it differs from other karma theories. YJA Convention 2018 preparation is going on in full swing. 730+ people have registered so far and still counting. Best wishes for the successful YJA Convention 2018. As the fire quickly consumes dry wood, even so an adept whose soul is equipoised and unattached causes the accumulated karma structure to disintegrate. Q 1: How many different types of Nirjaras are there? Q 2: What is Akam Nirjara? Karma is the fruit of one's desire-ridden actions. When actions are performed selfishly and egotistically, one becomes responsible for the consequences of one's actions. The Bhagavad Gita suggests that karma arises not only from the actions we perform but also from our desire for the fruit of such actions. Thus, intention plays an important role. Belief in karma is common to Hinduism, Buddhism and Jainism. However, Jainism differs from the other two with regard to the nature and working of the principle of karma. Karma is more a process of self-correction rather than self-punishment. Its purpose is to bring perfection in the doer of actions through a gradual inner transformation. Heat the remaining 2 tbsp of oil in the same pan, add the cabbage and sauté on a medium flame for 1 to 2 minutes. 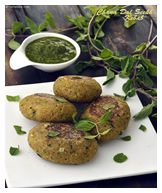 Add the bananas, green chilies and mint leaves, mix well and cook on a medium flame for 1 to 2 minutes. Remove from the flame and blend in a mixer to a smooth paste without using any water. Divide the mixture into 4 equal portions and shape each portion into 75 mm. Heat a non-stick tava, grease it with oil and cook the kebabs on a medium flame using a little oil till they turn golden brown in colour from both the sides. Last month, YJP Dallas participated in the Jain Society of North Texas (JSNT) Career Workshop at the JSNT, which focused on the professional development of Jains through leadership development, resume writing, and one-on-one career counseling. The event was met with positive praise and featured many YJP Board members. A 2: The shedding of karmas by passive suffering is known as Akam Nirjara. For example: To fast when no food is available to eat. By Akam Nirjara it would take ages to get rid of karmas, which we have accumulated.